The Pew Research Center report found strong majorities of adults using smartphones in the world's wealthier countries, led by 95 percent adoption in South Korea and 88 percent in Israel. In 18 developed countries surveyed, three out of four adults were using smartphones based on the 2018 survey. Another 17 percent used another kind of mobile phone and only six percent used none. "Younger people in every country surveyed are much more likely to have smartphones, access the internet and use social media," researchers Kyle Taylor and Laura Silver wrote. "In all of the advanced economies surveyed, large majorities under the age of 35 own a smartphone. In contrast, smartphone ownership among advanced economies' older populations varies widely, ranging from just about a quarter of Russians 50 and older to about nine-in-10 older South Koreans." The survey also found an estimated 90 percent of people in the 18 developed countries use the internet compared with 60 percent in the developed nations. 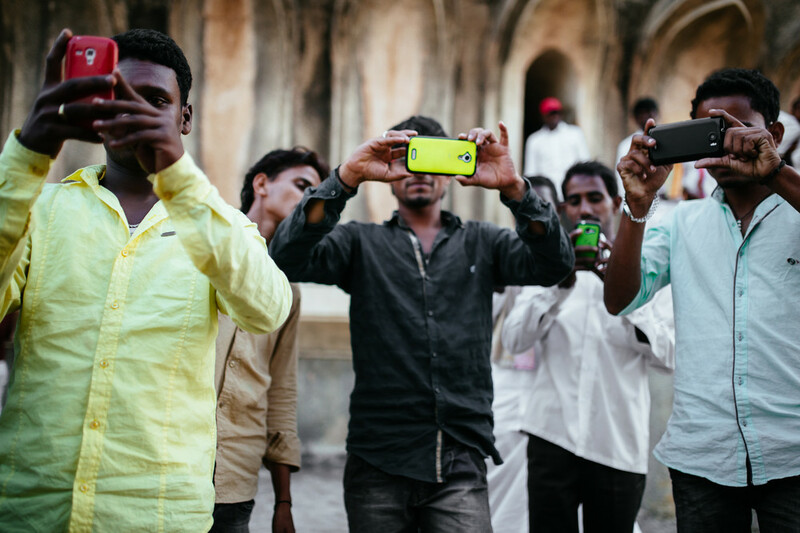 Some of the emerging nations are seeing rapid increases in smartphone use, especially by younger adults. For example, 85 percent of Brazilian adults under 34 used a smartphone, up from three in five in 2015. In the Philippines, the adoption rate more than doubled in three years to 71 percent, according to Pew. India ranked lowest of the emerging nations with just 27 percent using either the internet or social media, Pew said. China, believed to be the largest smartphone market, was not included in the latest survey. Among advanced economies, the Netherlands ranked third with 87 percent of adults using smartphones, followed by Sweden (86 percent), Australia and the United States (81 percent), Spain (80 percent), Germany (78 percent), Britain (76 percent) and France (75 percent).